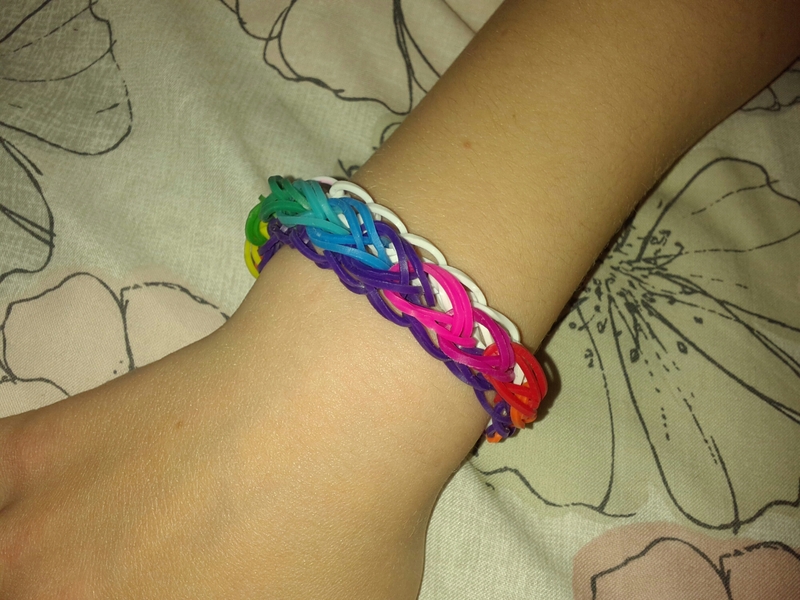 I got the kit for the crazy loom bracelets for my birthday and the day after I really wanted to have a go at making some jewelry so I found the easiest bracelet to make. 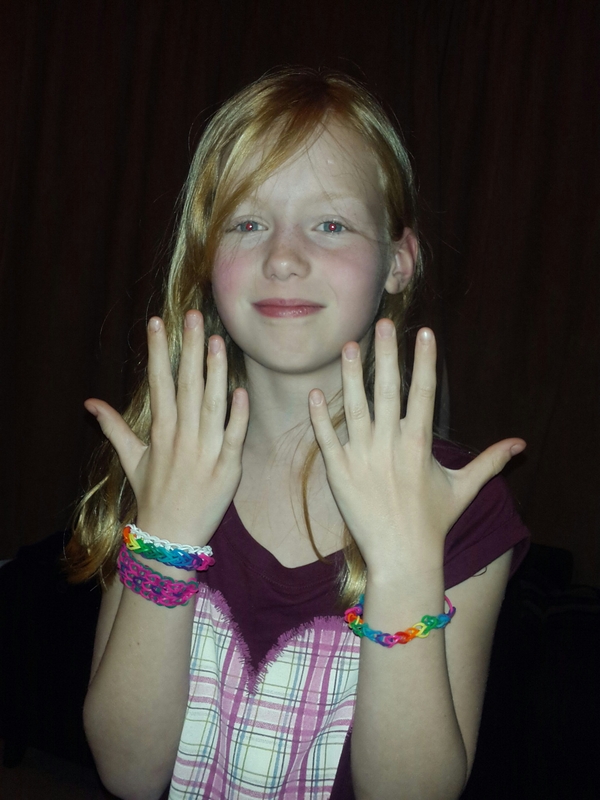 It is called the basic bracelet and it is really easy. Once I had started I felt like I couldn’t stop so I moved on to a harder bracelet to make. It’s called the bridge-style bracelet. 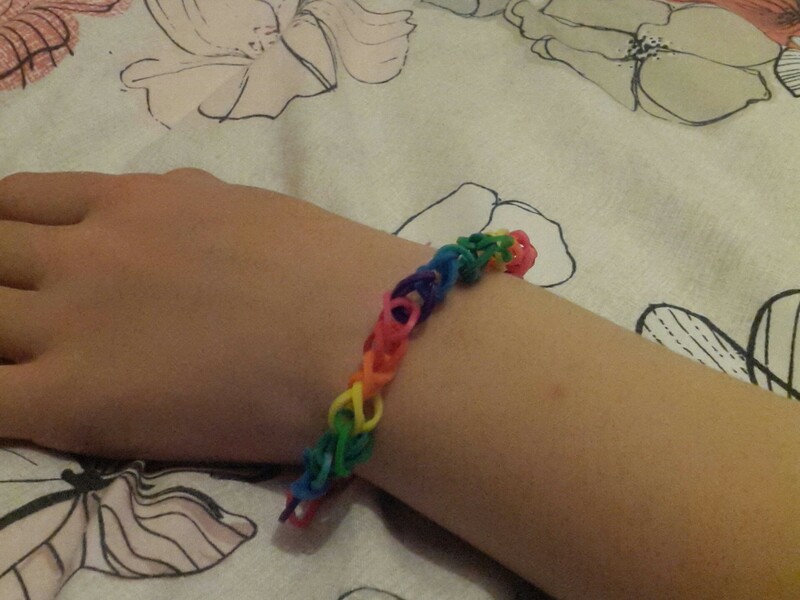 When I got on with doing it though, I realised that I had taken a big step up from the basic bracelet. 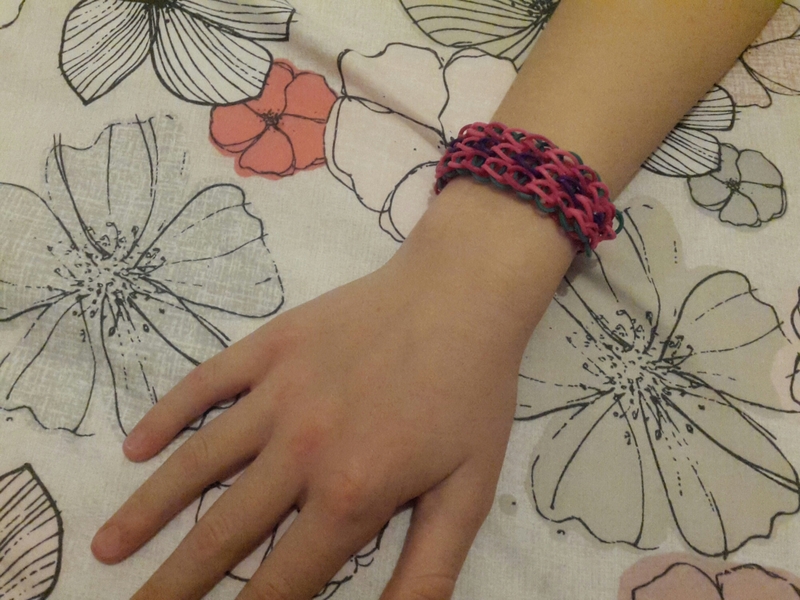 I found it very hard to get started but soon I got the hang of it and I soon finished my second bracelet. This bracelet is called a Waterfall bracelet and my mum made it. It took her several attempts to get the hang of it too. My UFOs were not really inspiring me so I was a bit naughty and went and started (and finished so that’s OK) a new project. 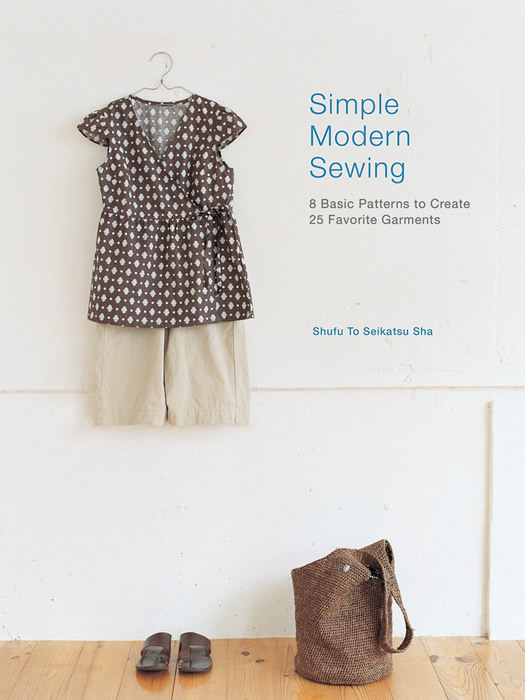 This is the Cap-Sleeved Baby Doll Top from Simple Modern Sewing. It is the one on the front cover.